I Got Your Silver Lining Fine Jewelry is happy to bring you this beautiful Australian, 100% all natural colored Argyle Fancy Purple Pink Diamond, as part of our Argyle Diamond Collection It is a .26ct, cut cornered rectangular modified brilliant, SI2 clarity, Fancy Brownish Purple Pink (even color), measuring 3.68mm x 3.38mm x 2.49mm. It comes with a GIA certification (#2176577353). The attached photos are untouched and at 20-60x. Compare at top design houses for $18K. This is great quality and an excellent approach to provide a "safe haven" for your money. When you buy an Argyle Diamond, you're not only buying the highest quality, you are buying a diamond that is mined, manufactured in a socially & environmentally responsible way. I Got Your Silver Lining Fine Jewelry can work with a designer to create your one of a kind semi-mount or you can place in the safety deposit box and watch your investment grow. Alternatively, you can select from our exclusive designer mounts (made in 18KT or Platinum). Be sure to check out our promotional wholesale opportunities on selected semi-mounts. Very special pricing for a limited time only. All custom design work and semi-mounts include complimentary design work, set and appraisals. We also provide complimentary shipping and insurance. No sales or luxury tax. 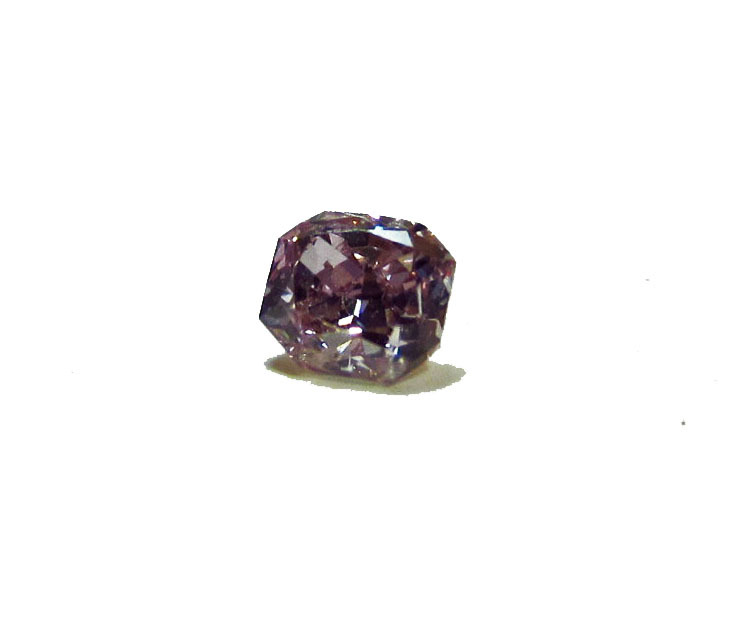 Click the button below to add the Argyle Fancy Purple Pink Diamond to your wish list.